Almost entirely driven by chance, SpaceX and NASA may soon find themselves in an unintentional race to return humans to the Moon for the first time in half a century. 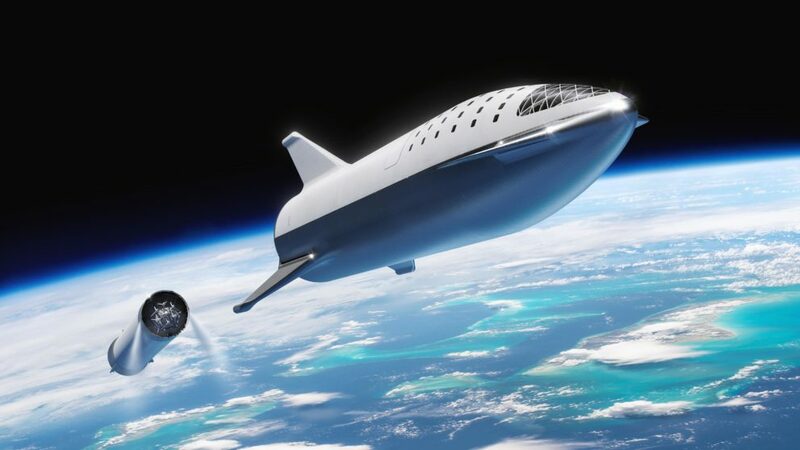 Both entities – SpaceX with its next-generation BFR and NASA with its Shuttle-derived SLS – are tentatively targeting 2023 for their similar circumlunar voyages, in which NASA astronauts and private individuals could theoretically travel around the Moon within just months of each other, showcasing two utterly dissimilar approaches to space exploration. 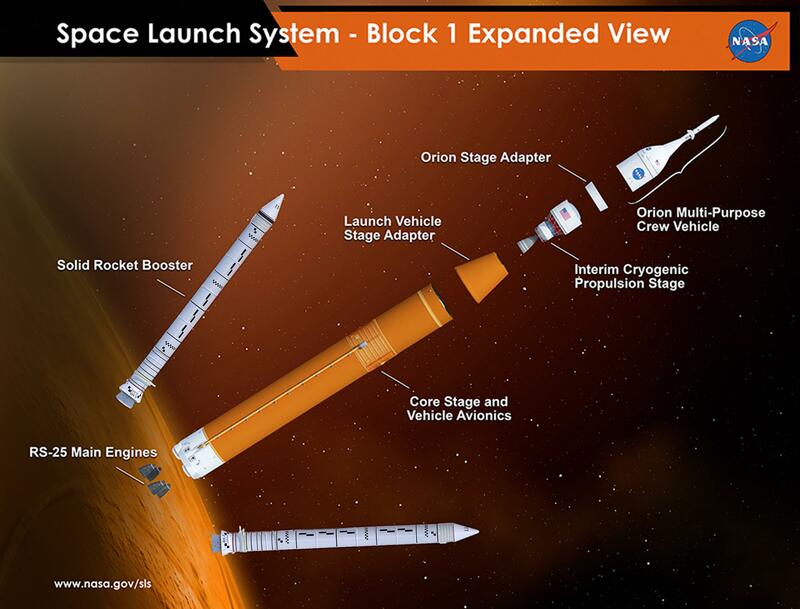 Over the course of no fewer than seven years of development, NASA’s SLS rocket and Orion spacecraft have run into an unrelenting barrage of issues, effectively delaying the system’s launch debut at a rate equivalent to or even faster than the passage of time itself. 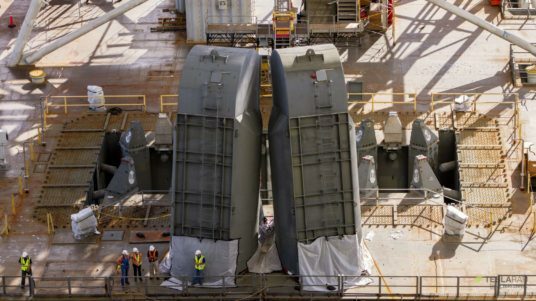 In other words, every month recently spent working on the vehicle seems to have reliably corresponded with at least an additional month of delays for the launch system. Why these incessant delays continue to occur is an entire story in itself and demands the acknowledgment of some uncomfortable and inconvenient realities about the state of NASA’s human spaceflight program in the 21st century, but that is a story is for another time. Returning to SLS, a brief overview is in order to properly contextualize what exactly the rocket and spacecraft are and what exactly their development has cost up to now. SLS is comprised of four major hardware segments. 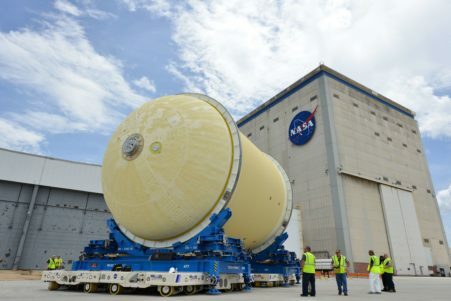 The Core Stage: A massive liquid hydrogen/liquid oxygen rocket booster, this section is essentially a lengthened version of the retired Space Shuttle’s familiar orange propellant tank, while the stage’s four engines are quite literally taken from stores of mothballed Space Shuttle hardware and will be ingloriously expended after each launch (SLS is 100% expendable). Solid Rocket Boosters (SRBs): Minimally modified copies of the SRBs used during the Space Shuttle program, SLS’ SRBs have slightly more solid propellant and have had all hints of reusability removed, whereas Space Shuttle boosters deployed parachutes and were reused after landing in the Atlantic Ocean. The Upper Stage (Interim Cryogenic Propulsion System, ICPS): ICPS is a slightly modified version of ULA’s off-the-shelf Delta IV upper stage. 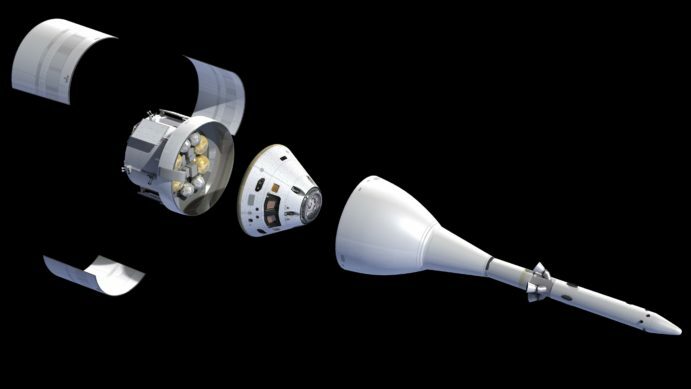 The Orion spacecraft and European Service Module: Borrowing heavily from the Apollo Command and Service Modules that took humanity to the Moon in the 1960s and 70s, Orion has been in funded development in one form or another for more than 12 years, with just one partial flight-test to call its own. 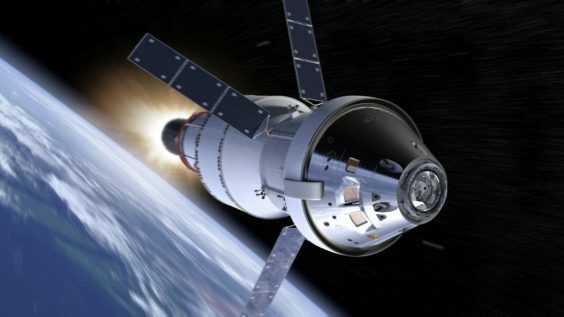 Orion’s development has cost the U.S. approximately $16 billion since 2006, with another $4-6 billion expected between now and 2023, a sum that doesn’t account for the costs of production and operations once development is complete. 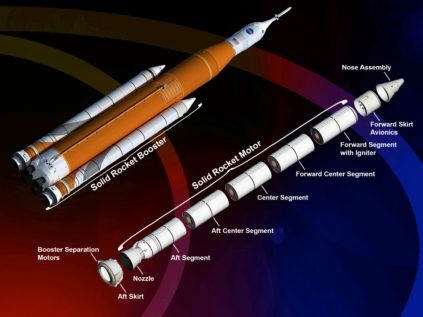 For the SLS core stage and SRBs, a generous bottom-rung estimate indicates that $14 billion has been spent on the rocket itself between 2011 and 2018, not including many billions more spent refurbishing and modifying the rocket’s aging Saturn and Shuttle-derived launch infrastructure at Kennedy Space Center. Of the many distressing patterns that appear in the above descriptions of SLS hardware, most notable is a near-obsessive dependence upon “heritage” hardware that has already been designed and tested – in some cases even manufactured. 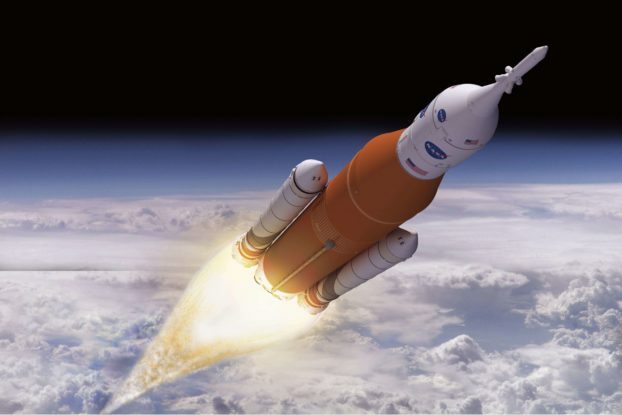 Despite cobbling together or reusing as many mature components, facilities, and workforces as possible and relying on slightly-modified commercial hardware at every turn, SLS and Orion will somehow end up costing the United States more than $30 billion dollars before it has completed a single full launch; potentially rising beyond $40 billion by the time the system is ready to launch NASA astronauts. 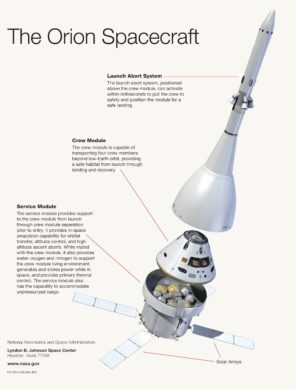 SLS’ first crewed mission, known as Exploratory Mission-2 (EM-2), brings us to the title – NASA’s mission planning has settled on sending a crew of four astronauts on what is known as a Free Lunar Return trajectory in the Orion spacecraft, essentially a single flyby of the Moon. 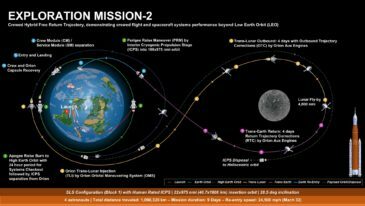 Official NASA statements appear to be sending mixed messages on the schedule for EM-2’s launch, with September 2018 presentations indicating 2022 while a late-August blog post suggests that the crewed circumlunar mission is targeting launch in 2023. As it happens, SpaceX announced its own plans for a (private) crewed circumlunar voyage less than two weeks ago. Funded in large part by Japanese billionaire Yasuka Maezawa, SpaceX’s hopes to send 10+ people to the Moon on its next-generation BFR launch vehicle, comprised of a fully-reusable booster and spaceship. Deemed Dear Moon by Maezawa, SpaceX is targeting an extremely ambitious launch deadline sometime in 2023, although CEO Elon Musk frankly noted that hitting that 2023 window would require all aspects of BFR booster and spaceship development to proceed flawlessly over the next several years. Compared to the 10+ years and $30+ billion of development SLS and Orion will have taken before their first full launch, SpaceX is targeting the first orbital BFR test flights as early as 2020 or 2021, self-admittedly optimistic deadlines that will likely slip. Still, betting against SpaceX completing its first BFR launch sometime in the early to mid-2020s for something approximating Musk’s $2-10 billion development cost seems a risky move in the context of SpaceX’s undeniable track record of proving the old-guard wrong. It must be noted that the apparent alignment of both SpaceX and NASA’s first crewed circumlunar missions with new rockets and spacecraft is a fluke of chance, and the fact that it may or may not take the shape of a second race to the Moon – pitting two dramatically different ideologies and organizational approaches against each other – is purely coincidental. 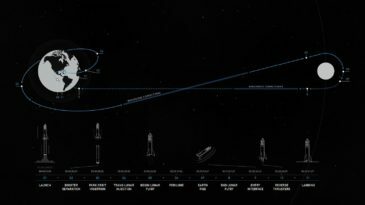 However, despite the undeniable fact that NASA and SpaceX are deeply and cooperatively involved through Crew and Cargo Dragon and despite Musk’s genuine affirmations of support and admiration for the space agency, it can be almost guaranteed that the world will look on in the 2020s with the same underlying emotions and motivations that were globally present during the Apollo Program. Rather than a battle of economic and nationalistic ideologies, the New Space Race of the 2020s will pit two (publicly) amicable private and public entities against each other at the same time as they work hand-in-hand to deliver crew and cargo to the International Space Station. Critically, this new “race” will be fairly illusory. Thanks to the fact that the new goal of human spaceflight appears to be the sustainable exploration of the solar system, there will inherently be no Apollo-style finish line for any one company or country or agency to cross. Rather than the Apollo Program’s shortsighted economic motivations and its consequentially abrupt demise, the end-result of this new age of competition will be the establishment of humanity as a (deep) spacefaring species, be it a temporary burst of effort or a permanent human condition.